The Bourne family is associated both with pottery and Methodism in Belper and Derbyshire. Hugh Bourne (1772–1852) was the joint founder of Primitive Methodism, the largest offshoot of Wesleyan Methodism and, in the mid nineteenth century, an influential Protestant Christian movement in its own right. Hugh Bourne was born on 3 April 1772 at Ford Hayes Farm, Ford Hayes Lane, Bucknall, now within the present-day boundaries of Stoke-on-Trent, Staffordshire. He was the son of Joseph and Ellen Bourne. In 1788, after basic training as a carpenter, Hugh moved to the nearby mining village of Bemersley (in the north-eastern fringe of the present-day Stoke-on-Trent) and was apprenticed to his uncle as a wheelwright. After ‘serving his time’ learning the trade, Hugh specialised principally in making and repairing windmill and watermill wheels. Bourne's conversion at the age of twenty seven led him to join the local Wesleyan society at Burslem, one of the historical six towns of the City of Stoke-on-Trent. He continued as a wheelwright but, after a period of group bible study, soon became a Methodist lay-preacher. One of the main features of Primitive Methodist evangelism was an all-day, open-air prayer and preaching meeting. Unfortunately, these American-style meetings were viewed with great suspicion by the Methodist authorities and a ban on holding such gatherings was imposed. Having ignored this ruling, both Bourne and Clowes were eventually expelled from the Methodist Church (in 1808 and 1810 respectively). Despite this set-back, the new movement continued to grow, spreading throughout the Midlands and the North of England, following the line of the River Trent to Hull, where Clowes died and is buried. This J. Bourne, printer, is a preacher, together with his brother, Hugh Bourne, under both of whose labours has arisen the Primitive Connexion.... Missionary exertions, which had been declining, were revived at Belper " very powerfully," while "the praying people, in returning home, were accustomed to sing through the streets of Belper!" It is added, that "this circumstance procured them the name of Ranters, and the name of Ranter, which first arose on this occasion, afterwards spread very extensively." The work, we are told, then spread to Derby and Nottingham, whence circuits were established, one circuit having been hitherto sufficient for the Connexion. 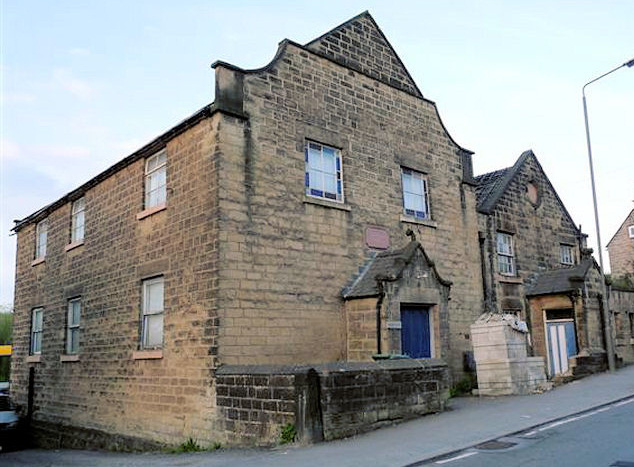 Belper was made a circuit of the Methodist preachers and they and the Bourne family established a chapel for worship on Kilburn Road, Belper, called Pottery Methodist Chapel on the road directly opposite the old Belper Pottery site. Belper Pottery Methodist Church is Grade II listed and the chapel and school were built in 1812 and 1878. The name "Pottery" echoes the predecessor of Bourne's Pottery at Denby which formerly stood in this locality. This story happened around 1816 at Belper in Derbyshire in the English Midlands. 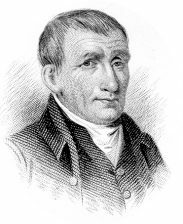 It concerns John Benton, a Primitive Methodist open-air preacher and missionary. At this time, the movement was beginning to expand rapidly, using open-air preaching throughout the counties of Cheshire, Staffordshire and Derbyshire. This style of preaching was not without its challenges. One of the hazards of open-air preaching was opposition and persecution from rabble-rousers and gangs. Primitive Methodist preachers often faced name-calling, violence and disruption in their public meetings. However not all opposition went in the way desired by their opponents. This is just one of many stories of how the plans of those who opposed the Primitive Methodist preachers came undone. One evening Benton and a group of young converts entered the town of Belper, singing as they approached the market-place. They intended to preach the gospel and “mission” the town. Hundreds of people gathered to hear the missionary preacher and his associates. As well as those who came to hear them, a rabble also gathered to cause trouble. The rabble was organised by a ringleader, intent on disrupting the preaching. His plan was a simple one. He had taken a bucket, and mixed in it blood and excrement from an animal that had been killed. His intention was to scale a ladder at the back of the building and pour the bucket of filth on the preacher’s head from the front of the building. The ringleader climbed the ladder and tried to place the bucket on the ridge of the building. As he did so, his foot slipped, and the whole of the contents came down on his own head, and he could only get down the ladder with great difficulty. This was a great source of laughter and mirth for his fellow rabble rousers, and he was so humiliated by the whole process, that the next time Benton came to preach he gave him a sober hearing. So the moral of this story is: when opposing God, be prepared for the unexpected. A deed of 1737 records the presence of a ‘Potters Acre’ at Belper. In 1772 William Bourne, described as a potter of Belper, took out an insurance policy which included £50 for a workhouse and workrooms. A jug dated 1765 is thought possibly to be attributable to Belper; more certain are two pieces of 1775 which have both Belper and the date incised on them. Various other dated pieces of the late 18th century have survived (Oswald 1982). Pottery manufacture, already established by the 1760s and probably before continued into the early 19th century. The pre-existing works at Belper Pottery were taken over about 1800 by William Bourne. The local clay was suitable for brown kitchenware, such as bowls, dishes and water-jugs. For better quality articles, clay was brought from Derby or Staffordshire. In 1812 Joseph Bourne added the existing Denby Pottery to his business and he operated on both sites until 1834, when the Belper works were closed and all production carried on at Denby Giles et al 2000). The famous pottery at Denby was established in 1809, and its origins were documented in some detail by Llewellynn Jewitt in his book Ceramic Art of Great Britain first published in 1877. "The works were commenced in 1809 by a Mr. Jager, on the estate of W. Drury Lowe, Esq., where, some time before, a valuable and extensive bed of clay had been found to exist. This clay, previous to the establishment of the Denby Works, was used at the Belper Pottery for the manufacture of stoneware ink, blacking, and other bottles. … In 1812 Joseph Bourne, son of William Bourne, of the Belper Pottery, succeeded Mr. Jaeger and the Belper and Denby works were carried on simultaneously until 1834 when the Belper Works were discontinued, and the plant and workpeople moved to Denby." Other sources indicate that William Bourne gave the task of managing the new business to two of his sons John and Joseph Bourne, perhaps while he continued at the Belper Pottery. The business was originally known as J. & J. Bourne, however, John Bourne died in 1819 and Joseph Bourne then continued the business in his own name. The nearby Codnor Park Works were acquired in 1833 and the Shipley Pottery in 1845 and both were eventually closed and their plant and staff moved to the Denby site.